The modular concept allows to give new shapes to the shooter by varying the position of the hexagons or the number of pieces. Whether you choose a few pieces or prefer to play with more modules, its hexagonal pattern makes SENTI a very stable shooter. One for all and all for one. The hexagonal shapes are joined together creating a balanced set full of aesthetic force. It all adds up. We have worked hexagon to hexagon with Escuela de Diseño e Ingeniería Elisava to create a unique work. 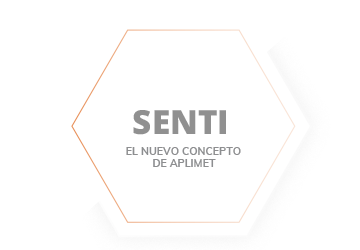 Our new concept, SENTI, soaks up the essence of emotions and drinks from the well of nature’s wisdom to borrow one of the most balanced and stable shapes, the hexagon. Using this shape, we have created a modular product that you can fully customise by selecting the pieces to attach. Increased emotion stems from customising SENTI by attaching modules in any way you please to create the desired effect in your bar. SENTI likes to be noticed. The large surface area of the tap catches the eye and is the star of the show at the bar helping you to increase beer sales. Or fill in this simple form and we will contact you. Our specialized customer service department will answer any doubt you may have.